This time it’s not the courts but that powerful court-like tribunal, the Ontario Municipal Board. Oh, Port Dalhousie… what a saga. A book could be written on the long lead-up to the OMB hearing, the hearing and decision itself and the reaction to it, then the long and still, sadly, unfolding aftermath. Fortunately for you I'll be focussing on the decision and its fallout and stop at 1000 words! Following a 21 week (sic) hearing, the Ontario Municipal Board in February 2009 approved a proposed private development in the Port Dalhousie Heritage Conservation District. The project, smack-dab in the heart of the commercial core of Port Dalhousie, included a 70 room hotel, a 400 seat theatre and… a 17 storey condominium tower. The proposal was vigorously opposed by a local citizens group, Port Realizing Our Unique Distinction (PROUD). The city, after initially approving the development, also opposed the proposal at the hearing. The case was complex, involving appeals under both the Planning Act — Official Plan amendment, zoning bylaw and site plan appeals — and the Ontario Heritage Act — appeal of the city’s refusal of a heritage permit for building demolition and new construction in a heritage conservation district. It was one of the first demolition appeals to reach the OMB since the OHA had been strengthened just a few years before. As well-articulated as the decision was, it was almost certainly wrong. A big condo tower in the middle of a two and three-storey heritage district? Strip away all the evidence and argument about revitalization, intensification, planning and preservation… on some basic level it just doesn’t ring true or right. And so had thought most on the heritage side of the issue as the matter moved forward, expecting that good sense (and lawyer Jane Pepino, who argued PROUD’s case) would prevail. It was a bombshell when it didn’t. The reaction to the decision in heritage circles was border-line hysterical. The decision, it was feared, not only doomed Port Dalhousie, it threatened every heritage conservation district, current and future, in the province. Heritage Canada (now the National Trust for Canada) went so far as to put all Ontario’s HCDs on its Ten Most Endangered Places List! At a special forum on the implications of the decision held at Fort York in April 2009, the discussion degenerated at times to screaming. Some not nice things were said about a couple heritage architects (you know, them) who had helped the developer make its winning case. The culture ministry was roundly criticized for not doing something. Oy vey. Well, almost seven years later the sky has not fallen. While the decision still evokes passionate debate, I would argue it was never a landmark case. It did not set an important precedent. It did not mark a turning-point for HCDs. Deficiencies in the Port Dalhousie Heritage Conservation District Plan… Under scrutiny it appeared the 2003 HCD plan and guidelines, which covers virtually the whole of PD, were focussed on the (relatively large) residential area and did not adequately address the (relatively small) commercial core. The plan did not set out a vision for the core, guidelines on height were loose and ambiguous, the description of heritage buildings and attributes was not comprehensive, and reference to significant views or vistas was lacking. In the absence of clear objectives for core development and precise conservation ground rules in the district guidelines, pro-intensification and pro-revitalization policies in other municipal and provincial planning documents unfortunately were given greater weight in the Board’s “balancing” (its word) of the public policy objectives involved. Special socio-economic factors of the location… There was compelling evidence that the commercial core of Port Dalhousie was in decline and that this inevitably threatened the heritage resources. The Board also seemed to accept the argument that the proposed development’s mix of uses would provide a “critical mass” to draw tourists to the area, a key goal of the municipality’s economic development strategy. At the same time, without the lakefront location and view there would be little incentive for an upscale residential tower. Confusing things further was the question of the status of older, pre-2005 HCD plans. Port Dalhousie’s was one of the last of these, adopted in 2003 before amendments to the OHA in 2005 made significant changes to district designation — making a plan mandatory for any new district and setting out detailed plan requirements. HCD plans meeting these requirements are very strong, prevailing over zoning and other municipal bylaws to the extent of a conflict. The Board in this case concluded that the pre-2005 plan was advisory only. Meanwhile in a different case another OMB decision issued about the same time had determined that a pre-2005 HCD plan did have the new, stronger stature. What all this adds up to is a particularly complicated and even messy scenario… one unlikely to be duplicated in an HCD near you. For municipalities: The importance of HCD plans/guidelines, and the need for their periodic review and updating in line with current OHA requirements and changing local circumstances. 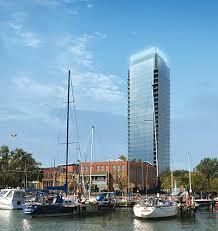 The weakness of the Port Dalhousie plan may have been the decisive factor here. Anticipate the unexpected. Note 1: Port Dalhousie Vitalization Corporation v. City of St. Catharines, February 26, 2009. OMB case no. PL060850. Note 2: This determination meant that the Board applied the requirement of section 2.1 of the Planning Act (by which the OMB is required to “have regard to” the municipal council decision as well as the “information and material” considered in making that decision) to the original council decision. The ironical result is that a requirement added to the Planning Act to ensure the OMB pays more attention to municipal decisions ended up working against the new council’s position on the issue, creating a kind of presumption in favour of the earlier decision approving the development. Note 3: The case also suggests that, in making decisions on HCD appeals, the Board will be governed by the HCD plan in determining what the significant heritage resources and attributes of the district are; the corollary is that evidence about significant heritage features not mentioned in the plan will either not be considered or be given little weight. Note 4: Four key provincial plans in South Central Ontario are under review. This is the first review of the Greenbelt Plan and Oak Ridges Moraine Conservation Plan and the third review of the Niagara Escarpment Plan. The Growth Plan for the Greater Golden Horseshoe is also being reviewed.